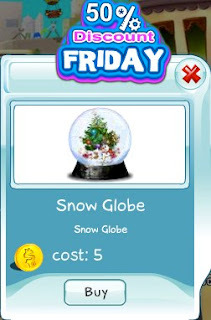 Todays 50% Discount Friday item is the Snow Globe, perfect for your winter home decorations. The Snow Globe has a Christmas tree and snow man with falling snow. This offer is valid today only, so act quickly.